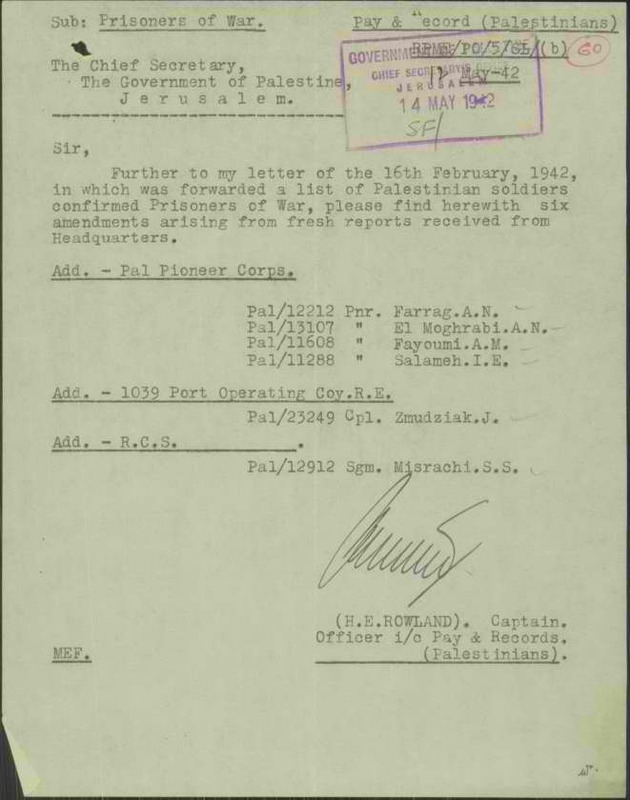 This file of the British Government of Palestine is from the Israel State Archives. There are different reports with different types of information on them. 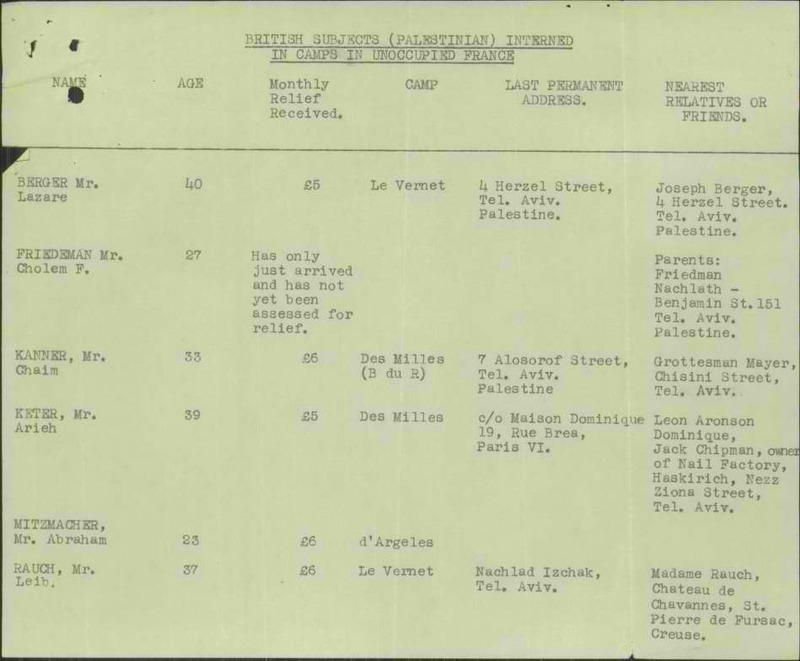 The names are of soldiers from Palestine who served in the British Army and interned in camps in occupied territories. 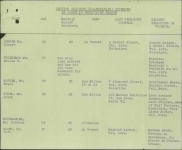 Not all the pages have the same amount of information for each internee. Please do you best to fill what ever information there is for each internee.